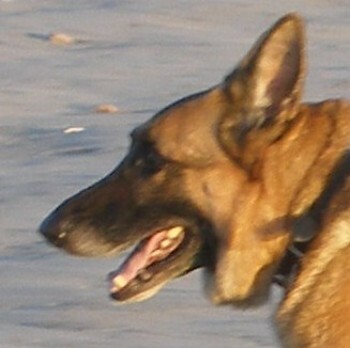 Max and his friend Heidi were German shepherds who lived with Lynne and Ken Smith here in Tucson in 2005 and 2006. 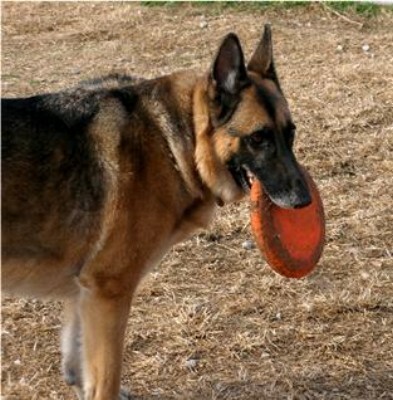 They came to McDonald Park almost every day and were friends with Amos, Zoe, Pokie, Bijou and many others. They moved from Tucson to San Antonio in 2007. 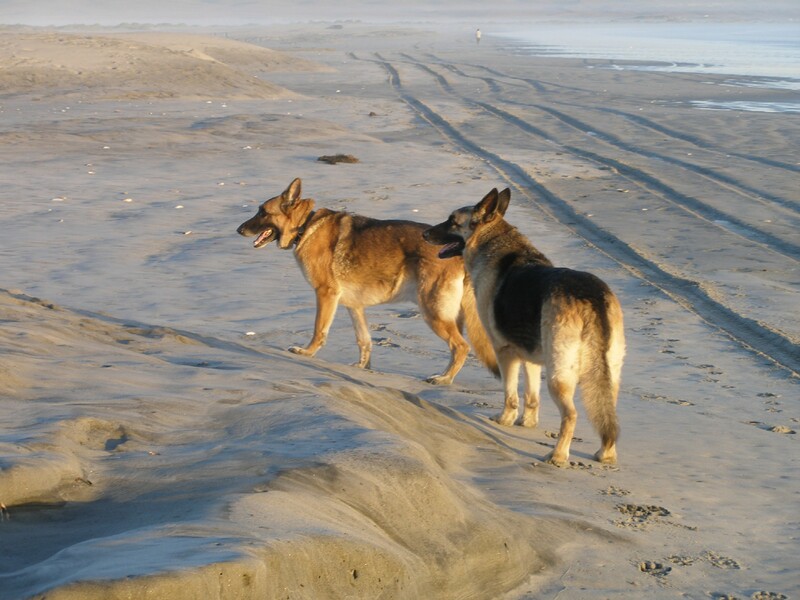 Heidi died in 2007, and Max lived until May 2011. 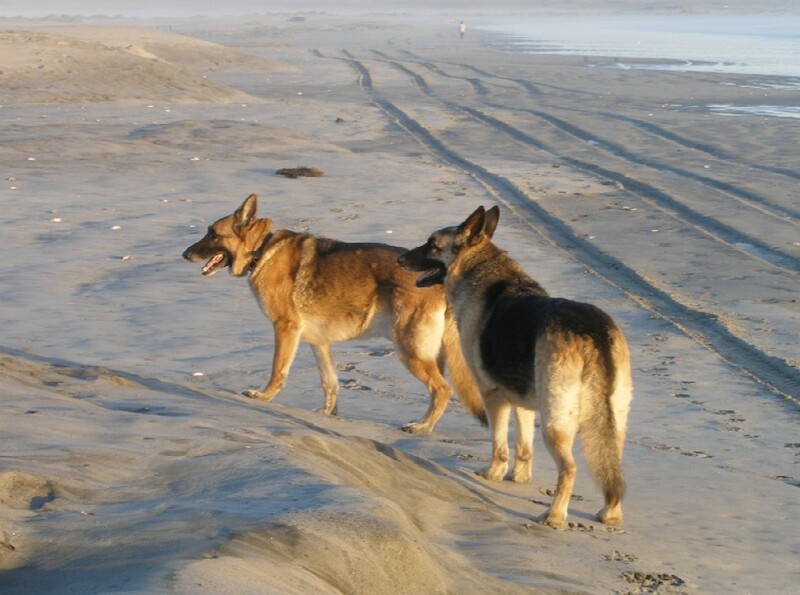 Both Shepherds were rescues, so Ken doesn't know their exact ages, but he guesses that Heidi lived to be about 12 and Max was 14. 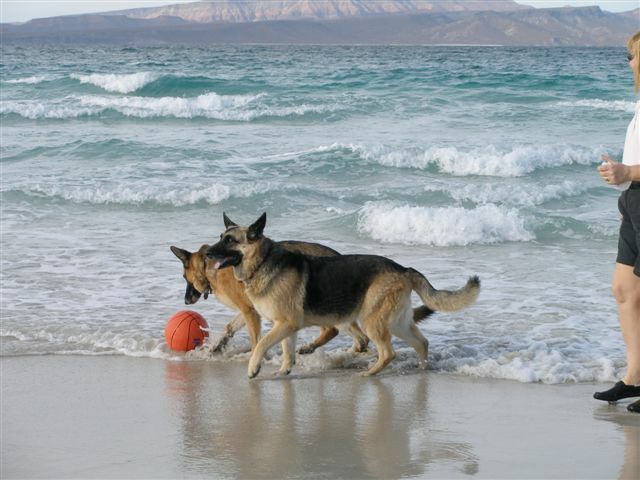 The photo below was taken in 2006 on a beach in Baja, Mexico. They had all driven from Tucson to La Paz for the winter. 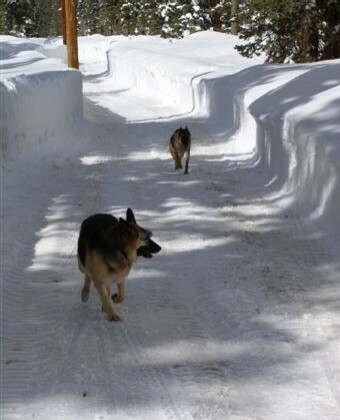 On the way back, the two dogs had to ride in the back of a small SUV for 12+ hours/day. 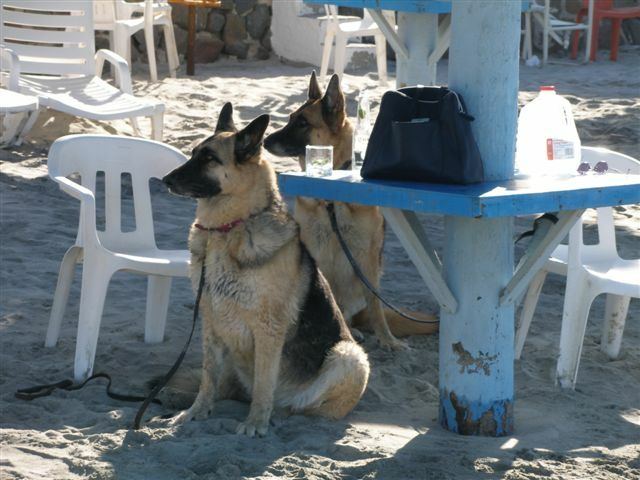 They (and their people) were obviously enjoying the end of the long day with a leisurely walk on a beautiful beach. The markings on their faces and their color were very similar. Max is on the left. 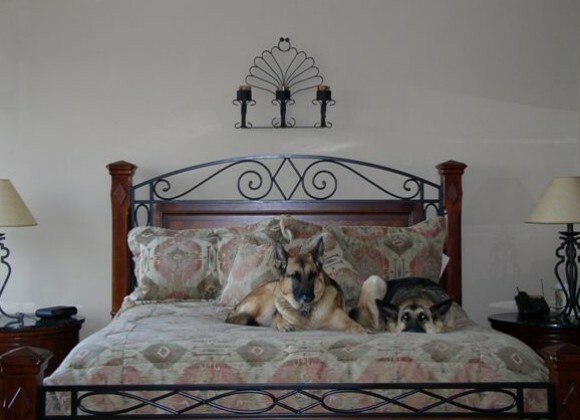 More pictures of Max and Heidi together are shown below. Heidi was in the foreground of the snow scene above (Utah).